When golfers talk about golf equipment, they usually refer to their driver, a wedge or their collection of putters. A discussion of the merits of one tee over another seldom takes place. Most golfers often look around the tee box for a good tee or just use the last one they found. Tees, however, are a necessary part of a golfer’s equipment, starting with the appropriate tee. The first purpose of any tee is to cup the golf ball and prevent it from moving. 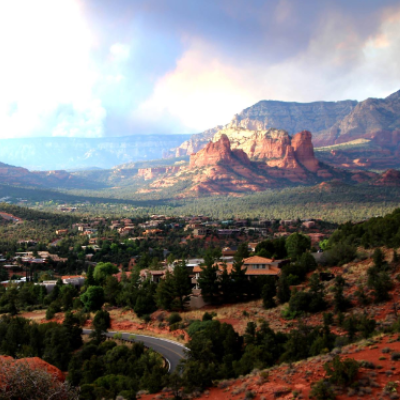 Most golfers determine the height of the tee just by feel or by looking at it. After that, the tee is picked up or discarded. The second purpose of the tee is to launch the ball at a higher trajectory and increase distance off the tee. That is where the correct tee can make a difference. Some tee companies, such as 4 Yards More, claim their tees add four additional yards to a drive as well as increasing the distance from other clubs. The six-prong plastic crown tee flexes on impact and, as a result, reduces resistance. 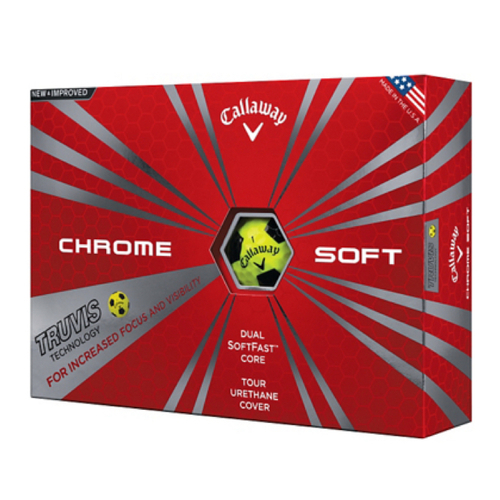 The ball is launched with less resistance or friction, resulting in longer and straighter drives. The tees look like a crown and have been proven robotically and on the course to increase distance off the tee. This tee has been used on both the Champions Tour and the LPGA. When golf got its start in Scotland, the first tees were made from piling up sand. 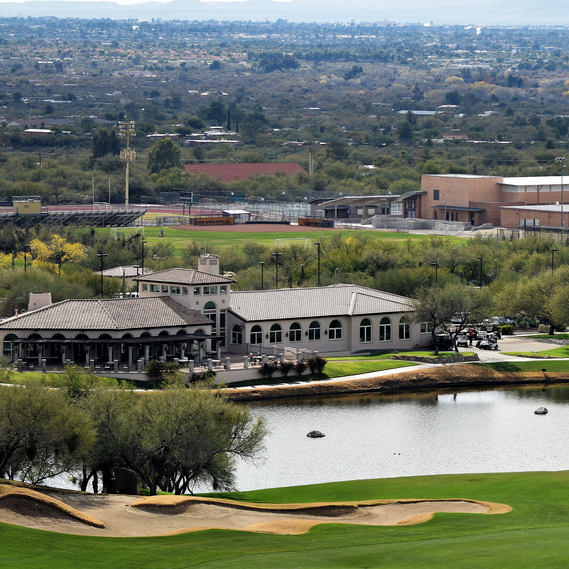 Since sand was kept in a box, the term “tee box“ emerged. In 1921, a dentist, William Lowell, patented a wooden tee, later used by professional golfers Walter Hagen and Joe Kirkwood. 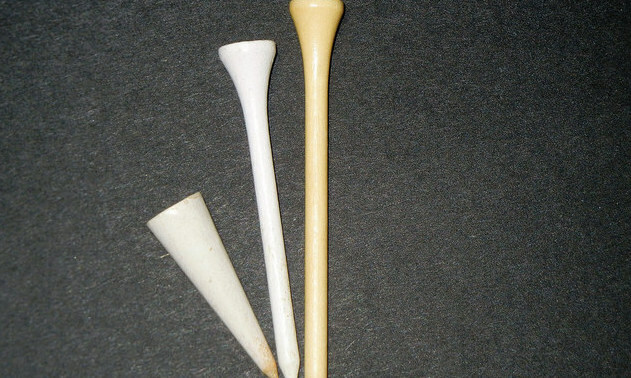 The first wooden tees were short and looked more like dental pegs. The USGA then got involved, ruling that a “tee must not unduly influence the movement of the ball.” (Appendix IV, Section 1 - Rule 11). In addition, a tee cannot indicate line of play or exceed four inches in length. With these rules in place, any tee designed to prevent a ball from slicing or hooking is illegal, such as the various brands of anti-slice tees. There are really only two types of tees. The standard wooden white or brown tees are the most common, made from cedar, white birch, clay or even corn starch and animal byproducts. These tees are between 2 1/4 inches and four inches in height and litter every golf course. The second basic type is the plastic tee composed of polypropylene. 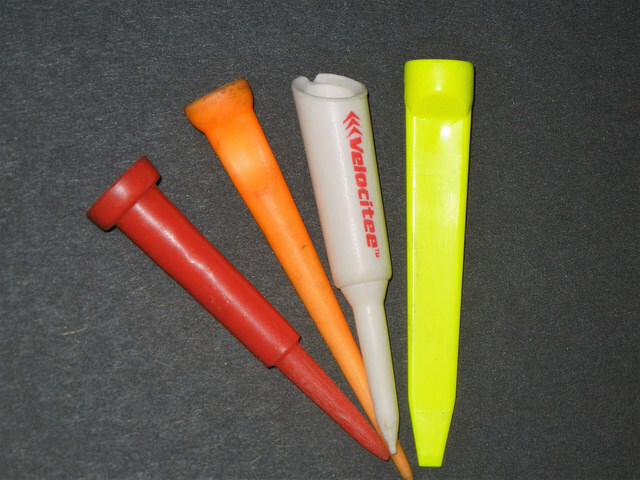 There are numerous tees on the market, wooden or plastic, including Strip Tees, Wedge Tees, Crown Top Tees, Rubber Top Tees, Step Tees, Brush Tees and others. The problem is that under USGA and R&A Rules, some of these tees may be illegal, as they could “influence the movement of the ball.” It is a Catch-22 problem for the Rules Committee. If a tee improves performance, it does not conform to the rules, and if it conforms to the rules, it does not improve performance. The USGA/R&A must achieve a balancing act between invention and performance. All golfing equipment must be approved by the USGA/R&A and that includes tees. In selecting the proper tee, most golfers tee their irons too high and their metal woods too low. With the driver, the ball should be slightly above the top edge of the club face because the ball is hit on an upward swing path. For irons, the tee is kept very low while hitting down on the ball. Some tee manufacturers paint coloured stripes around the tee, allowing golfers to be more consistent in height selection. Through trial and error, all golfers need to find the right tee and the appropriate height. The average tee is 2.125 inches or 5.4 cm. A wood log 8 feet long and 10 inches in diameter produces 3,000 tees. 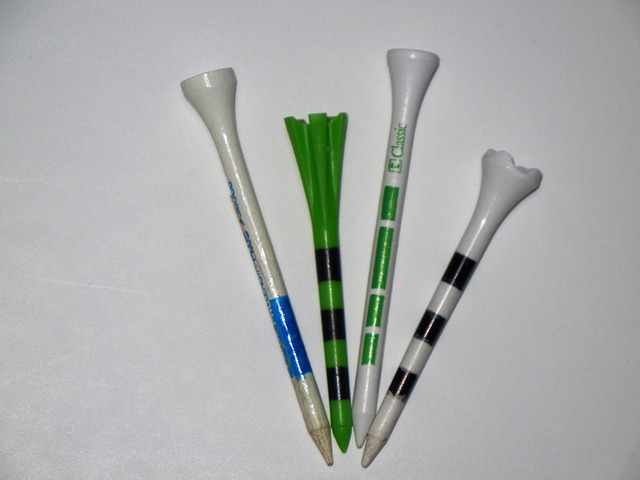 Pride Golf Tee, the World’s largest tee manufacturer can produce two million tees per day. The ball on impact with the club face at 100 mph takes only .00045 of a second. One well-manufactured plastic tee should last 100+ drives.